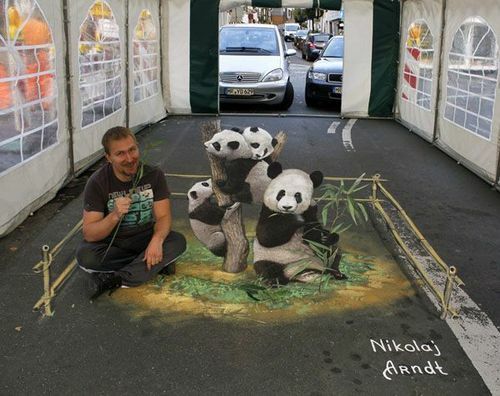 You might have already seen some of his work, the amazing Nikolaj Arndt. 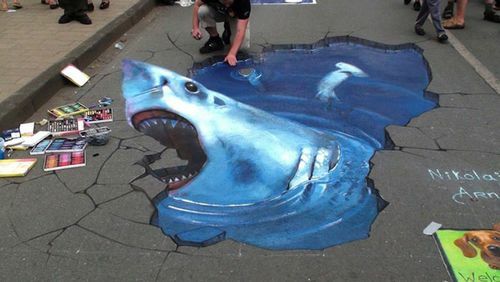 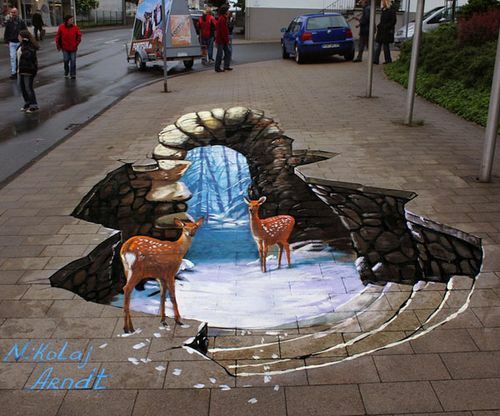 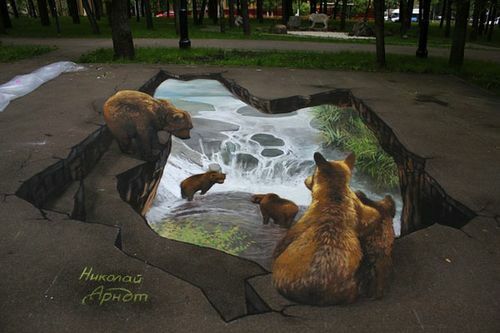 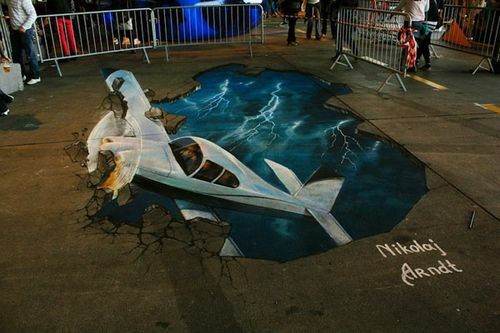 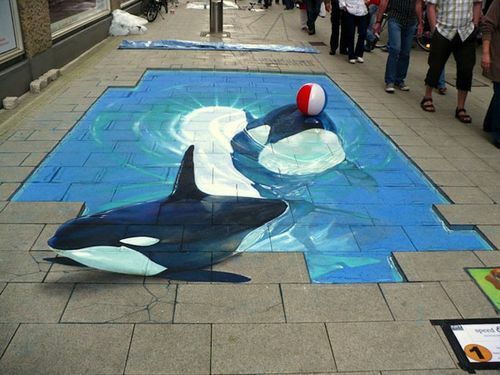 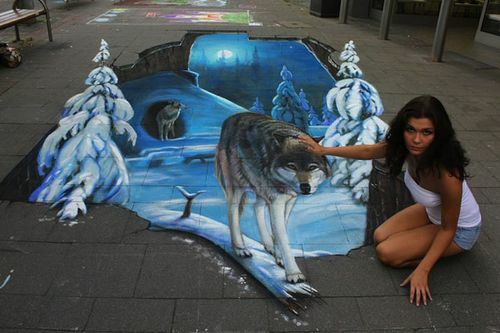 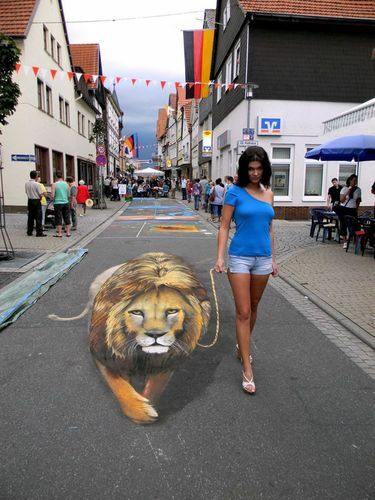 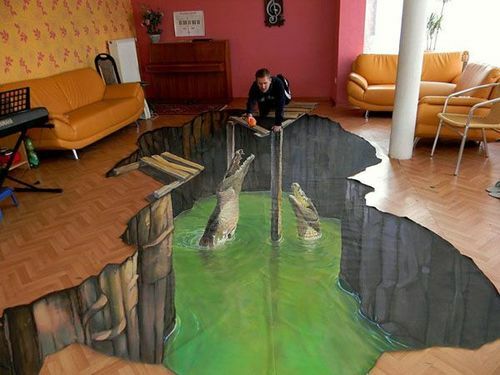 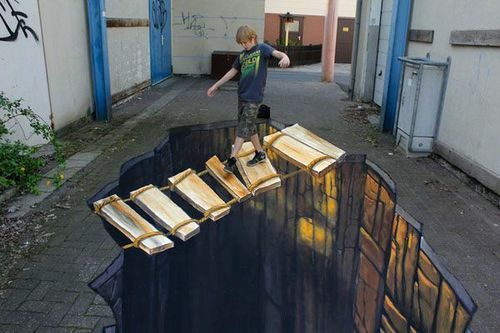 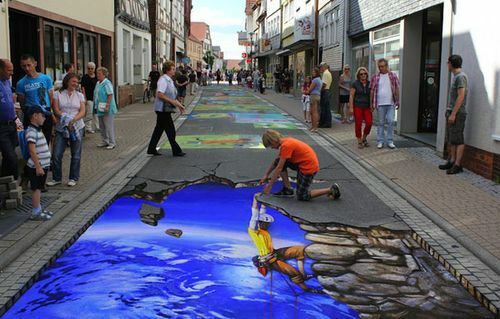 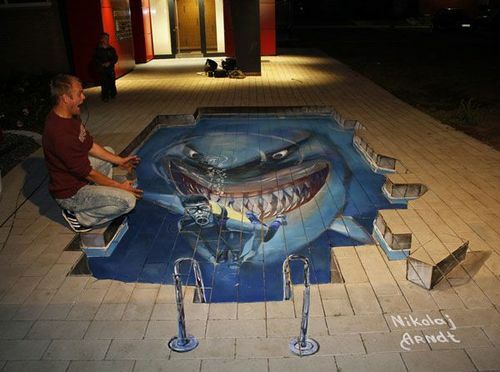 Just using chalk he creates some outstanding 3D images, mostly on sidewalks. 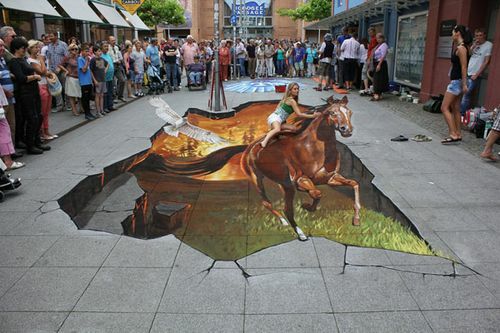 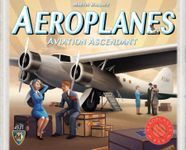 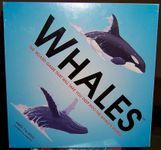 If you have seen his work before or maybe this is the first time, just sit back and enjoy these amazing images.